Whether you arrived on my website by chance, or you are looking for something specific, I hope that while viewing my work you enjoy what you see and can derive some of the pleasure that art brings us when we experience it. 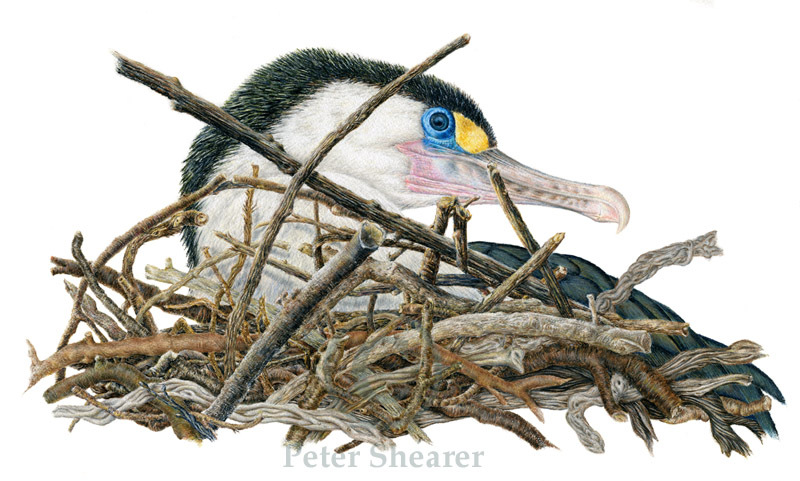 Nesting Pied Shag Colour pencil on watercolour paper- 47 x 32 cm Original unframed - $1500.00 NZ. Prints available.